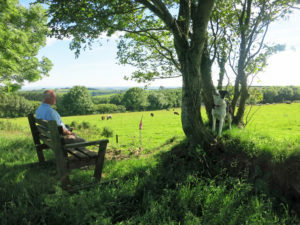 Walk; through woodland – where you may spot deer; to on hill top pastures – where you get panoramic views towards Dartmoor whilst buzzards and kites soaring over head; down a steep bracken covered valley, with badger set and a variety of moths & butterflies; next to the pond and stream watching dragonflies. (once the home of the Reverend Jack Russell who founded the dog), along some quiet Devon country lanes. Approx 4.5 miles each way. 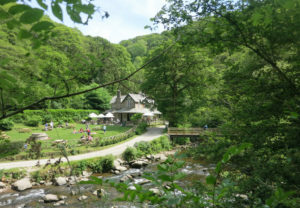 Visit to Watersmeet’s original fishing lodge, North Devon’s National Trust shop and café serving delicious Whortleberry cream teas. Ramble up stream along side the East Lyn riverbank through awe-inspiring ancient woodland to the charming Rockford Inn – a remote riverside pub with some tasty bites to eat. Approx 2 miles each way. Alternatively walk down stream, approx. 2.5 miles each way, to the historic harbour of Lynmouth with its cliff railway to Lynton. 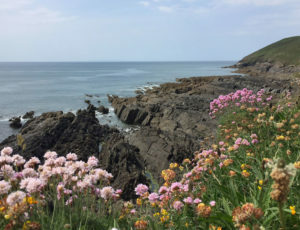 Approx 3.5 miles each way along golden sands, with views of Lundy Island and dunes at the back of the beach to explore. During World War Two the beach looked remarkably different as it was protected by barbed wire and was even used for US assault training in preparation for D-Day. 6) Northam Burrow to Westward Ho! A two mile walk to the peninsula point, past some bones which are the remains of a large whale that was washed up on Croyde Beach in 1915. 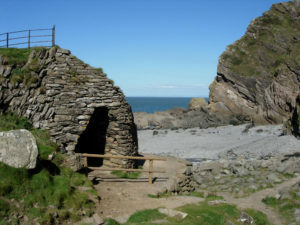 On a clear day you can see Lundy Island and breathtaking views across bays to Hartland Point. You may also have the chance to watch some people coasteering (supervised jumping off the rocks into the sea) or some of the many rock climbers that come to Baggy Point to take advantage of the variety of routes it offers. Approx 2miles each way from the Braunton March Car Part to Crow Point. Braunton Burrows, is the largest sand dune system in Britain and the first United Nations Unesco Biosphere Reserve in Britain. 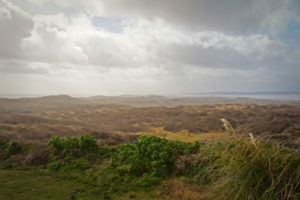 The burrows are rich in wildlife, especially insects and butterflies, and have an internationally recognized abundance of rare and in some cases unique flora and fauna. The beach walk round Crow Point headland is situated at the end of the Burrows, where the River Taw and River Torridge estuaries meet the Atlantic Ocean. 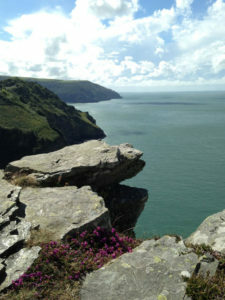 Approx 3 miles from Lynton Cliff Railway to the Valley of Rocks, with its spectacular unique rock formations and herd of feral goats, grazing amongst the bracken and heathers.